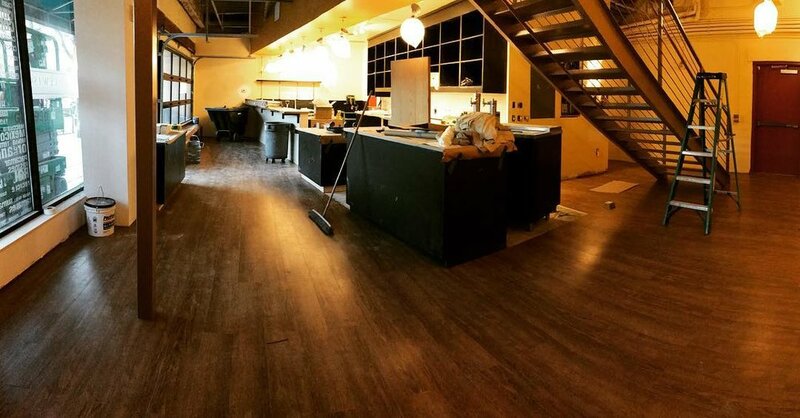 For many this means the countdown is on for the holidays, but for me, this means we are opening A CAFE (still shocked by this obviously) in a few short weeks. Hiring staff, purchasing equipment, renovating the cafe, and raising money are just a few of the things I have been working on. It is so easy to get caught up in the to-do lists, the chaos, and the million small things left to finish. However, I must take a minute to sit back and think of how far we have come. If I am rushing, I do not see. If I do not see, I am not present. If I am not present, I cannot savor beauty. Or joy." I think it is very fitting that we are opening A Place at the Table around the holiday time. With as many things still left to do in the next few weeks, there are many more things to be thankful for. I am thankful for each one of you for believing in A Place at the Table before we had a location, your constant love and support, and your thousands of dollars in donations to make it possible. You are the reason we can create a place at the table for all. This is something for which I choose to be present, savor the beauty, and experience the joy. I hope you will dine and/or volunteer frequently with us in the new year. We'll have a cup of coffee, delicious food, and great community waiting for you. This holiday season truly is the happiest of holidays. 2018 here we come! Cafe Manager, Josh and our Executive Chef, Aaron! We are close! Stay tuned and see you at the table soon!